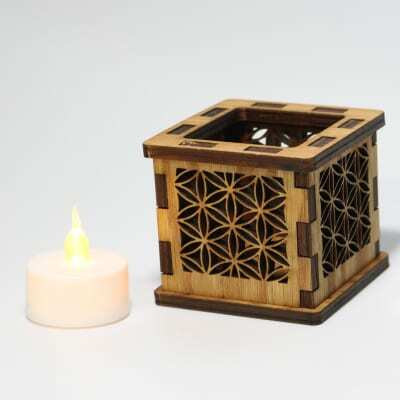 Enjoy the expansion of your mind with our fun tealight. 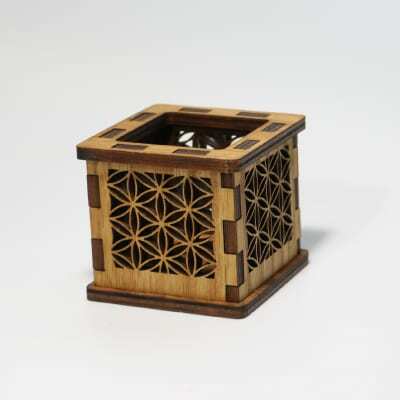 Our Tealights showcase the same design on all four sides, and are approx. 2.7”square. Made from sustainably-sourced oak remnants, these cute little beasties helps us to reduce waste from production of other LightBox Project items. 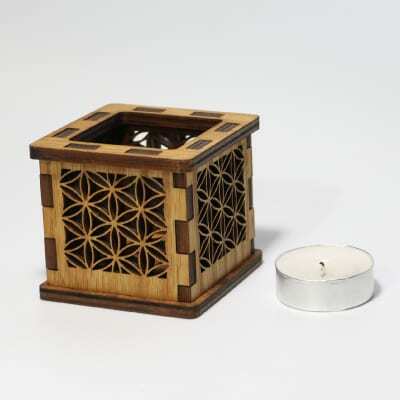 They are non-powered, but look amazing when paired with a battery-powered tea light or a candle-based tea light of your own. Enjoy amazing shadowcasting features on nearby surfaces! These containers must be placed on a level surface and be under supervision at all times if you choose to use a real candle.